WhatsApp messenger is undoubtedly the most popular smartphone app to date beating the likes of Skype and Facebook Messenger in a joint raffle draw. The Facebook owned platform allows you to interact with friends and family at the expense of a single contact as it will soon merge with Instagram plus Messenger. However, they are many tricks you can pull off using on the mighty green colored platform amidst unauthorized access/hacking into another person’s account. Except that WhatsApp these days sends notifications of your previous login on WhatsApp web. But still, Whatsapp web is still vulnerable to attacks and you can easily read someone’s messages without them knowing. For instance, how do you think some WhatsApp-shared nudes are retrieved? a simple question to think about. To read Whatsapp messages without touching your phone, simply scan your WhatsApp account to the web version and Kaboom, messages will start popping up one by one. However, on the victims’ phone, you need to block Whatsapp from sending notifications and we shall share how you can do this in an article soon. Otherwise, once the Whatsapp account is scanned, you have full access to a victim’s account and can change settings including statuses plus the profile picture. Screen mirroring apps are keyloggers that can send real-time data to someone who initially configures the background application to the phone. Many mirroring apps exist on the play store and apple store with abilities to copy each and every activity on the smartphone as the hacker sits in front of a computer tracking all activity. On the Internet, search with the word “best keylogger apps“, some of the best mirroring apps will be shortlisted for you in the search results. However, we can’t mention specific apps since we are not coniving with any of these. But all mirroring apps operate in the background and your victim can never tell on being tracked. First things first, Are you sure your WhatsApp account is secure enough? Well, since you know the tricks how someone can easily watch who and what you share on WhatsApp, its time we dive into how you can secure your account in return. On WhatsApp or a modded version tap the 3 dotted option button in the top left corner and choose Whatsapp web. If the app pops up a QR scanner using your phone camera, then you don’t have any computers accessing your account. Either way, If the Whatsapp web option displays a list of connected computers then disconnect one by one to revoke the connection. Additionally, always make sure you check your account whether No authorized PC is accessing your Whatsapp. Screen mirroring apps operate in the background without your authorization and you can never tell whether one is already running and sending data privately. So, simply install an antivirus app like AVG or Avast from the play store to revoke any unauthorized apps running in the background. here are some of the free Antiviruses you can easily download. The above and many more applications are all available on Android and Apple, so you can choose to download and install any! you feel like trying out. However, we recommend BitDefender which provides another security layer to your phone once installed successfully. Additionally, have you checked your app permissions as well in case an anti-virus cant detect a keylogger? A screen mirroring app can be installed as both a system app or downloaded app on your phone, so in case your antivirus cant detect the illicit app but you still have a feeling of being tracked. 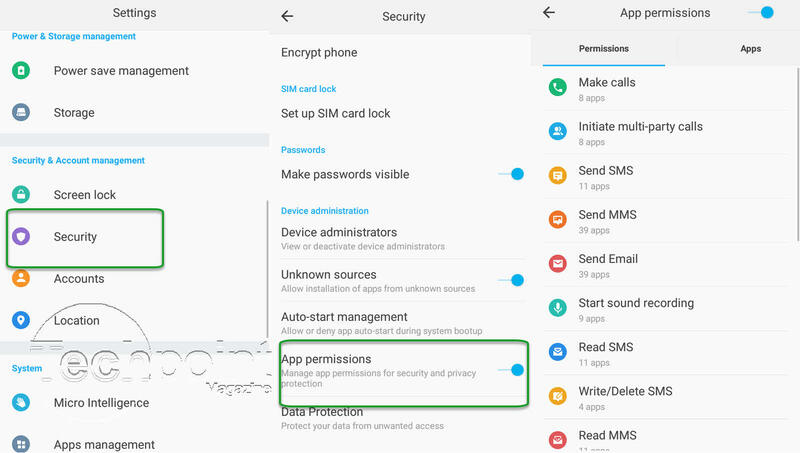 Turn on app permissions on your phone so that each and every application has to be authorized to perform a given task. In a nutshell, Whatapp is mainly vulnerable to these threats and Whatsapp web is the biggest trick of them all where your activity can be monitored on a computer as long as your phone has a stable internet connection with OTT tax preloaded well. Nevertheless, have your Whatsapp account ever been hacked? If yes, share with us your experience. More so, If you find this article helpful then the sharing buttons below can help another colleague in search of a solution.